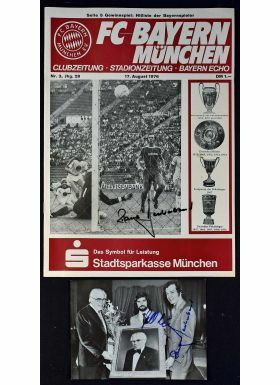 1976 UEFA Super Cup match programme Bayern Munich v Anderlecht 17 August 1976 (Final 1st Leg) hand signed to the cover photo by Franz Beckenbauer, also to a photo inside the programme, the signature of Gerd Muller. 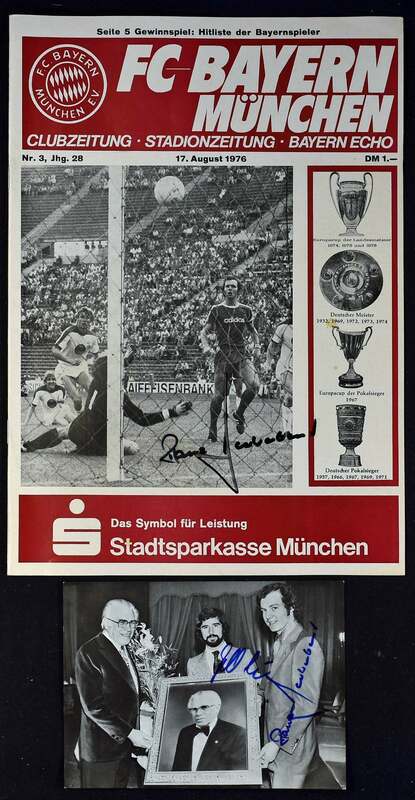 Also noted is a b&w photo featuring Beckenbauer and Muller holding a framed portrait and hand signed by each of them. (2 items, 4 signatures).